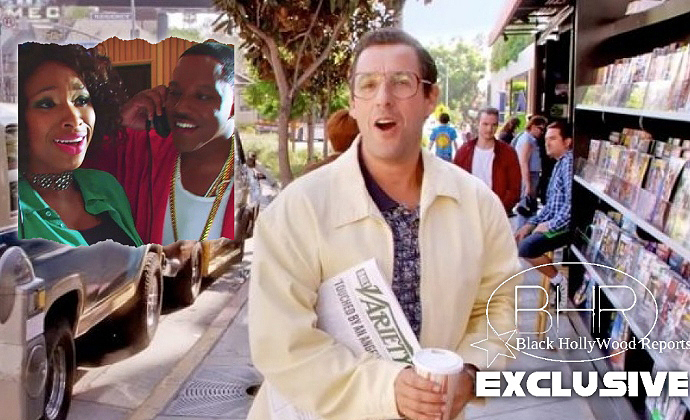 Jennifer Hudson And Ma$e Team Up Together For Adam Sandler Video Mr.Dj !! BHR Hollywood Reports.........Adam Sandler is coming back to Netflix in his new character movie Sandy Wexler , which co-stars Jennifer Hudson . Among Others... they have released a music video for a playful song called Mr.DJ, that features JHUD, Babyface, and rap star Ma$e . The music video is essentially a trailer from the film which is set to premier on Netflix April 14 .